Trader Gregory Rowe works at the New York Stock Exchange in New York. Some analysts believe the slumping market this year could spell a recession next year. BALTIMORE – Fears of a recession have been mounting with the U.S. stock market appearing to be headed for its worst December since 1931 – during the Great Depression. So is a U.S. recession imminent? Not necessarily. But the economy has been growing since mid-2009 and nothing – not even what’s become the second-longest U.S. expansion on record – lasts forever. As the expansion has aged, economists and business leaders are increasingly predicting that it will end within the next two years. The fact is that recessions are a regular part of the economic cycle. A downturn won’t necessarily happen in 2019. But the free-fall in stock prices could hasten the day. Does a sustained fall in stock prices herald a recession?Sometimes. Not always. Both the previous two U.S. recessions overlapped with stock market sell-offs. The Dow plunged nearly 34 percent in 2008 after the housing bubble burst. And it shed about 7 percent in 2001 when the tech stock bubble burst. But stocks also declined in 2002 – a year when the U.S. economy expanded. The fact is that the stock market captures just a piece of the broader U.S. economy. Less than half of U.S. households even own any stock, according to New York University economist Edward Wolff. And more than 80 percent of the stock market’s value is controlled by the richest 10 percent of households, according to his calculations. The bulk of most Americans’ net worth is derived from a different asset: Their homes. How bad is the stock market decline?It’s painful. But Wall Street has endured far worse sell-offs. Year-to-date, the Dow has lost about 5 percent – just a small fraction of its 2008 plunge. And the recent losses follow an extraordinary winning streak: From its bottom in March 2009, the Dow has rocketed 250 percent. This means that investors who have held on have earned a rich profit – even including the losses since October. That said, the sell-off of the past two months has been severe – about 12 percent. This means the market has entered “correction” territory, commonly defined as a decline of at least 10 percent. What’s behind the economy’s strength?Look to the job market. The 3.7 percent unemployment rate is near a half-century low. Average hourly wages have climbed 3.1 percent in the past 12 months, the strongest such increase since 2009. The solid employment picture has helped fuel consumer spending. Retail sales have grown 5.3 percent so far this year as more Americans have eaten out and shopped online, according to the Census Bureau. Does the housing market point to a recession?This is tricky. By some measures, like the Census Bureau’s report on home construction, the housing market never really recovered from the meltdown of a decade ago. As a result, housing has contributed relatively little to the economic recovery, which makes it less likely to be a major force that tips it into a recession. What has generally recovered are average home prices. Home sales prices have been steadily rising faster than Americans’ average wages for the past few years, according to the National Association of Realtors. This made some homeowners wealthier. But it also reduced affordability of homes for many would-be buyers. Until this past year, home buyers had been helped by historically low mortgage rates. But mortgage rates began to creep up last year as it became clear that Trump’s tax cuts would swell the federal budget deficit. Mortgage rates generally move in sync with 10-year Treasury notes. As the average 30-year mortgage rate has risen 4.63 percent from 3.93 percent a year ago, sales of homes have fallen. Are the Fed’s rate hikes a risk for recession?The Federal Reserve has become a punching bag for Trump as the stock market has tumbled. The Fed raised its key short-term rate for the fourth time this year on Wednesday, which will further raise borrowing costs for consumers and businesses over time. Could resolving a trade war with China stop a recession?Trump caused stocks to buckle when he ratcheted up taxes on Chinese imports in hopes of forcing Beijing to strike a deal that would protect U.S. technology from theft and reduce the trade deficit with China. 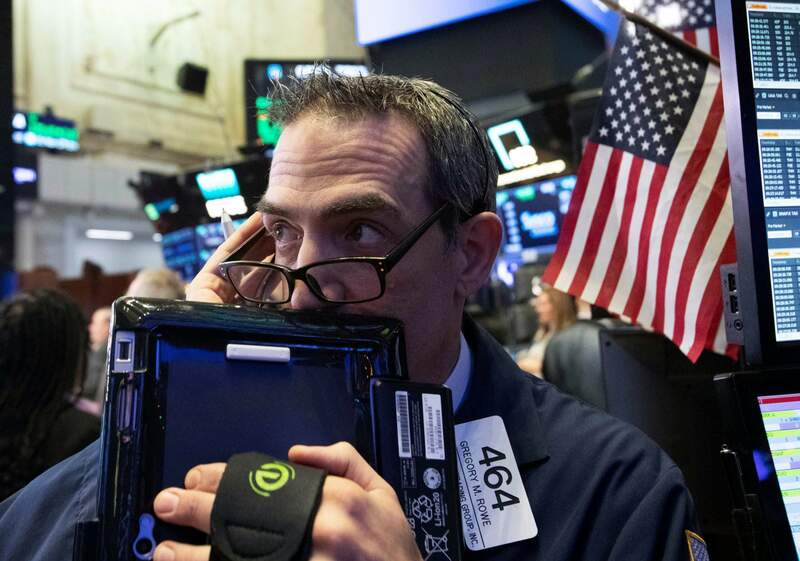 Stocks recovered somewhat when further tariff increases were suspended after Trump met with President Xi Jinping earlier this month at an international gathering in Argentina. A prolonged trade war could surely depress growth. But it’s unclear whether any new deal would speed growth to the point where a recession could be avoided.